On March 24th, Zeftron’s A&D Specialist Chelsey Wolf co-hosted an evening of design alongside BOLYU and Global Furniture. The event, a celebration of spring and new product launches from all three manufacturers, was attended by 40 guests at the Global showroom on Park Avenue in New York City. The theme for the evening, “Mugshots & Martinis”, added an element of entertainment to the event. Designers from Gensler, Frank & Marcotullio, Environetics, A Square Design, Stonehill & Taylor, Yabu Pushelberg, H2M, Meridian Design, and Perkins Eastman were in attendance. Attendees enjoyed a signature Mugshot Martini while viewing product samples from BOLYU, Zeftron Nylon, and furniture from Global. An expert cosmetic artist gavecomplimentary makeup applications before guests were treated to professional headshots playfully dubbed “mugshots.” Attendees were thrilled about the opportunity to have professional photographs taken for the purp ose of updating their LinkedIn profiles. Zeftron and BOLYU displayed custom carpet samples, along with running line styles, using Zeftron’s solution-dyed nylon carpet fiber. Zeftron’s pom chain, exhibiting our full complement of 120 saturated colors, was shown to give designers a sense of the vast color range offered with our product. It was a wonderful and enjoyable evening. We’re happy we could share product information, while also meeting new faces and catching up with some familiar ones. A big ‘thank you’ to everyone who came out! We look forward to future events like this one where we can partner with complementary businesses to jointly introduce innovative and exciting product to the industry in a format that is both relaxed and engaging. Until next time – cheers! 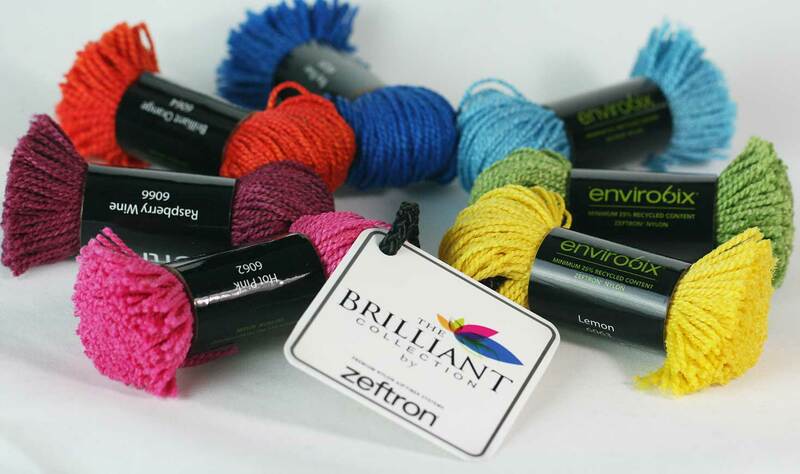 Zeftron nylon is pleased to introduce its new Brilliant Collection comprised of seven highly vibrant colors. The new colors bring more styling options that add a dash of energy or excitement to a hospitality, corporate or other commercial interiors project. The collection gives our mill partner designers and commercial designers even greater options and inspiration for creating or specifying the commercial carpet product you desire. 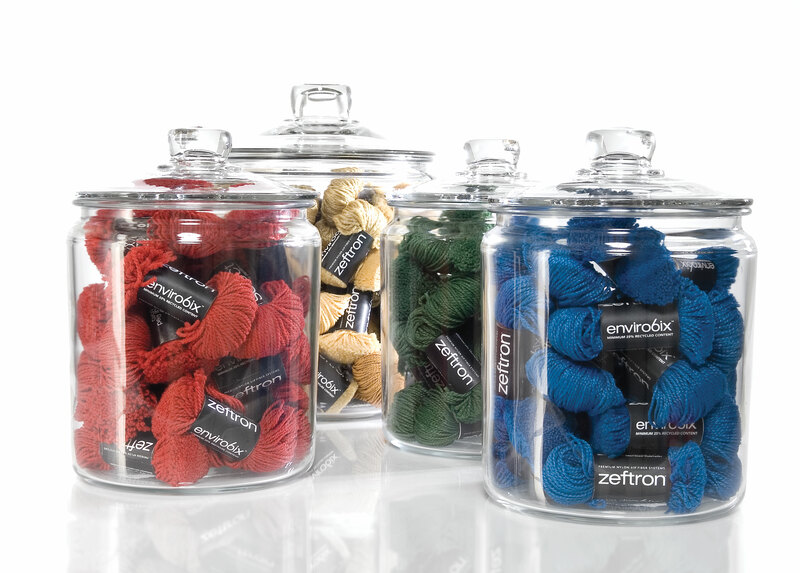 Like all Zeftron yarns, the new colors are solution-dyed, contain a minimum of 25 percent recycled content and are backed by Zeftron’s lifetime warranties for colorfastness, stain removal, wear and static control. What Makes This Collection So Great? Marketplace Input & Collaboration!! Zeftron nylon listens to our mill partners and designers who we meet in the field. The Brilliant Collection is a result of input from the in-house design teams of our mill partners and from hundreds of designers across the country through our 2013 Color Survey. We asked. You answered. We listened! What else can you look forward to? We will share new blog posts over the next few weeks exploring the colors of the Brilliant Collection. Check back soon for more details! Zeftron will soon introduce nine new base shades to its color palette! We will share more information about these new colors soon. A hallway with Chanterelle in Beaujolais. 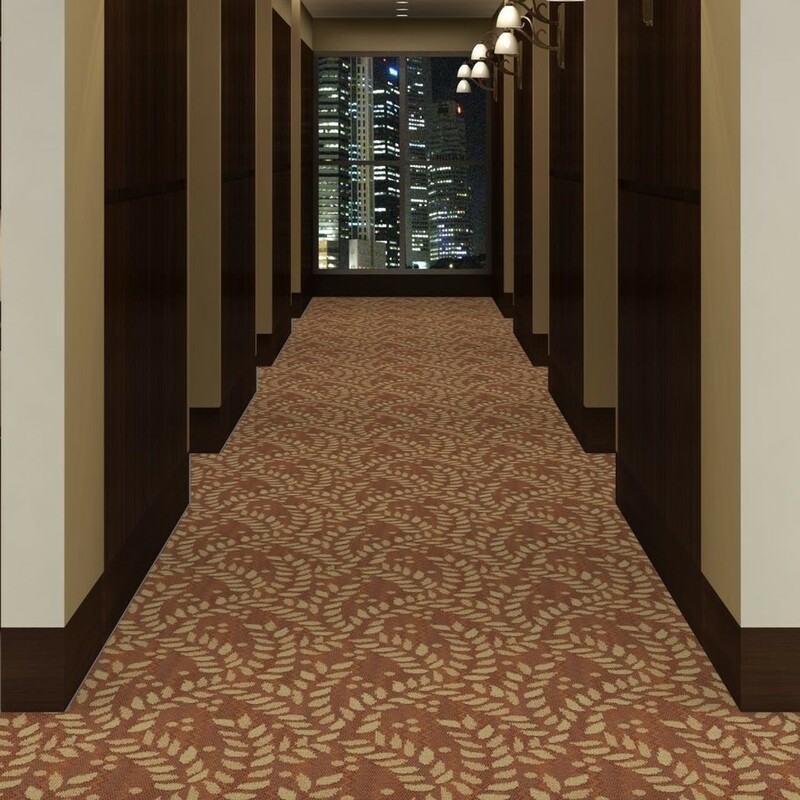 This week’s featured carpet is Chanterelle made by our mill partner Aqua Hospitality. With it’s beautiful leafy pattern Chanterelle would be a perfect selection for hotel properties and luxury resort facilities. Chanterelle installation in a guest room. Chanterelle is available in nine colors: Burgundy, Bordeaux, Beaujolais, Champagne, Chardonnay, Merlot, Sauvigon, Pinot Noir, and Zinfindel. Chanterelle is available in 9 colors. To see other Aqua Hospitality styles made with Zeftron Nylon please reference our Carpet Search tool: the Zeftron Style Guide. Click here to contact Aqua Hospitality. To contact Zeftron nylon call Tim Blount at 706-532-2984 or email him at timothy.blount@shawinc.com. Aqua Hospitality Carpets uses a collaborative approach for creating unique and distinctive products for multiple hospitality settings by leveraging the strength, stability and expertise of its parent company, Beaulieu Group, LLC. As the number one carpet only manufacturer in the United States, Beaulieu is a world leader in the innovation, styling, manufacturing and distribution of carpets for the Hospitality, Commercial and Residential market segments. A vertically integrated organization, Beaulieu manufactures and produces its own carpet fibers, Type 6 nylon and Polyester, its own carpet backings and is a pioneer in environmentally responsible manufacturing practices and processes. From concept to completion, Aqua Hospitality offers a thorough understanding of the market to provide the expertise needed in all areas of carpet design, manufacturing and project solutions. From mid- to upper-end hotel properties, timeshares, condominiums and luxury resort facilities, Aqua can assist in developing the experience needed for both business and leisure travelers. 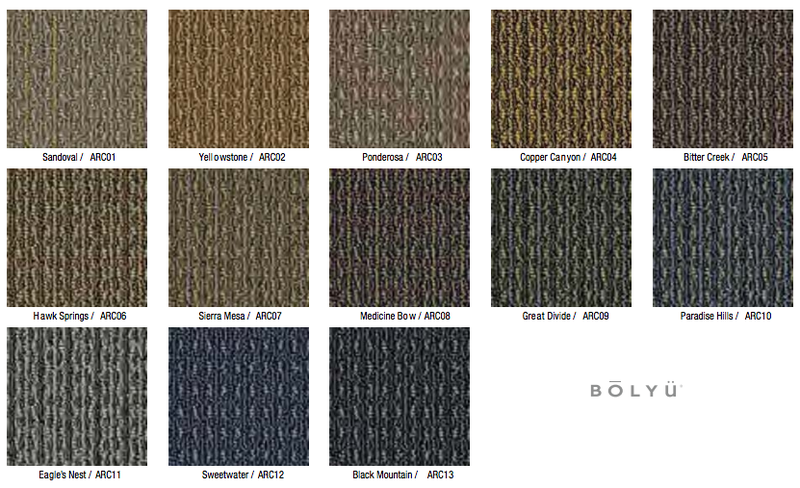 This week’s featured carpet is Arcadia made by our mill partner Bolyu. 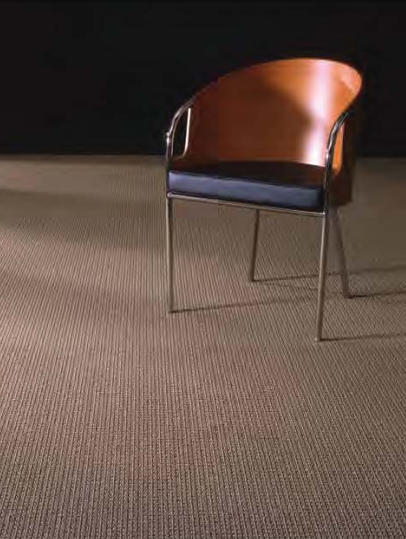 Arcadia is a broadloom textured loop made with Zeftron® Nylon with 25% recycled content. This product is available in 12 foot broadloom and features a 28 ounce tufted weight. Arcadia is available in thirteen colors: Sandoval, Hawk Springs, Yellowstone, Sierra Mesa, Ponderosa, Medicine Bow, Copper Canyon, Great Divide, Bitter Creek, Paradise Hills, Eagle’s Nest, Sweetwater and Black Mountain. Custom Carpets- Part Two: Easier Than You Think! 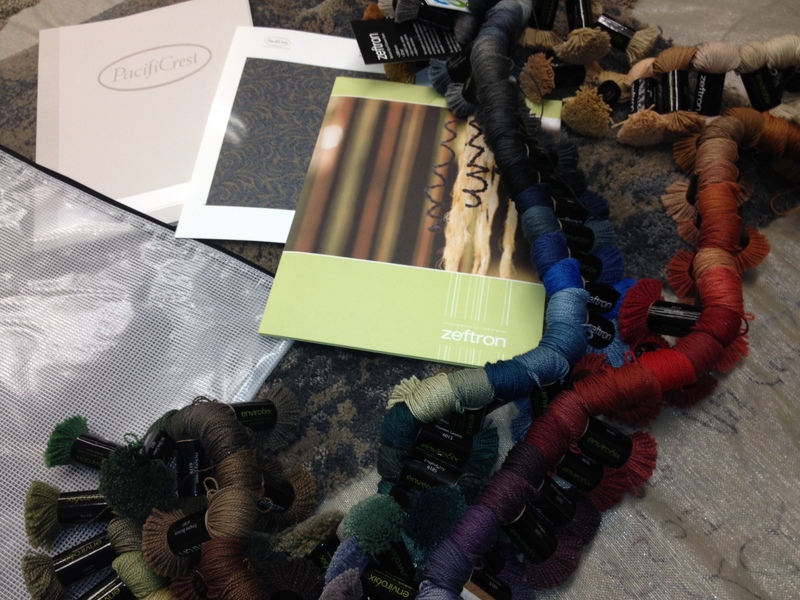 Last week we talked with PacifiCrest Senior Designer Julie Baird about the basics of custom carpets. This week Julie discusses the various options, processes and tools available to designers for developing the custom carpet they envision. Q. What are the options for achieving a custom carpet? At PacifiCrest we offer a multitude of ways to achieve a custom look. Designers can use our “Custom Color” program with one of our running lines or they can work with us to develop a complete “Custom Construction” product. Q. How does your “Custom Color” running line work? 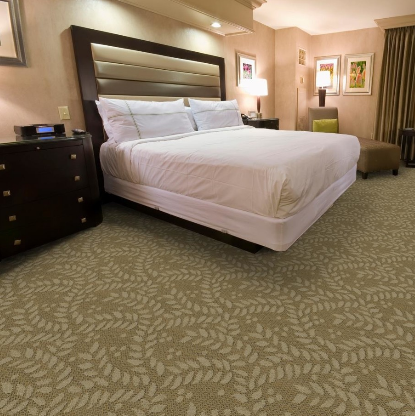 PacifiCrest can match colors to best create the custom carpet you need. This is a great solution for designers looking to make a custom statement in a quick and efficient way. For a 100-yard minimum, we can match any color and turn around a custom color strike off in two days. Designers can provide us with a specific Pantone color or send us fabric samples or paint swatches for the color they want. Our dye lab then creates a formula that matches to their color. After the order is placed, we can deliver the finished carpet in five days. This turnaround is just as fast as ordering a quick-ship product and often times faster than a typical running line product. Q. How does your “Custom Construction” work? All custom construction projects must meet a 400-1,000-yard minimum. Once this requirement is met, we look at all the needs for the specific job. We determine what nylon is required, as well as what construction type and weight would meet the performance and design needs of the project. A good starting point for a custom construction is thinking about a variation of a running line product. Custom Construction is a great solution for a larger project where a signature look is desired. It can also be an effective way to meet a particular end-use or value engineer a product. New state of the art tufting machine. Q. 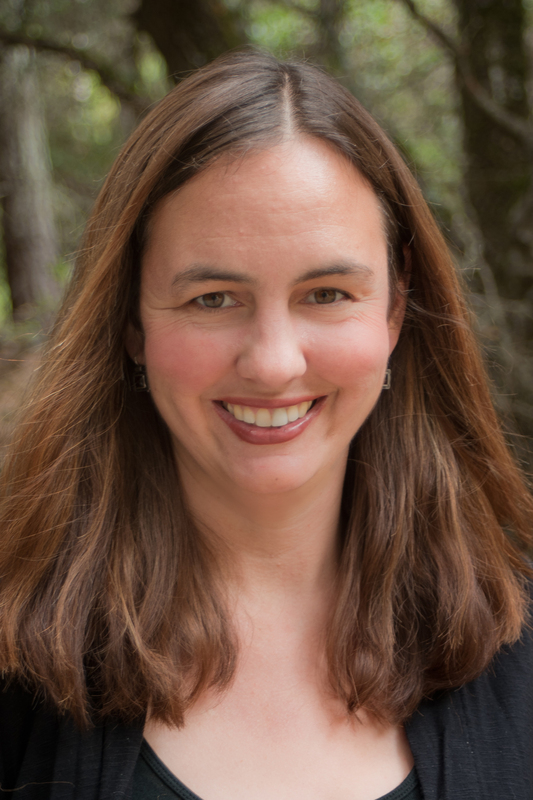 How would a designer start the custom process with PacifiCrest? A custom project starts with the designer’s sales rep who works as a liaison between the designer and PacifiCrest. Our rep writes up a custom request form, which gets entered into our product development system. If the request is for a Custom Color running line, it goes straight to our dye lab experts. If the request is for Custom Construction, it will come to our design department where we will draw the custom pattern first and/or determine the construction. It will then go through our strike off department where we have sample machines that will tuft and finish a sample to be submitted for the designer’s approval. Q. Does PacifiCrest have any specific tools or resources to help designers through this custom process? Absolutely! As a boutique mill that specializes in custom carpets, our goal is to make the custom process as simple and efficient as possible. One great tool is our CAD renderings. CAD renderings provide us the ability to add logos, create patterns and establish the exact colors a designer requires. Utilizing this tool can save time and money and ensure that the finished product is exactly what the designer envisioned. Additionally, our newest product, 42nd Street, is a great tool for custom color. I like to call it a “coloring box” since it is a 42 oz. cut pile product in 72 colors. The architect folder contains three additional solid-color texture products. 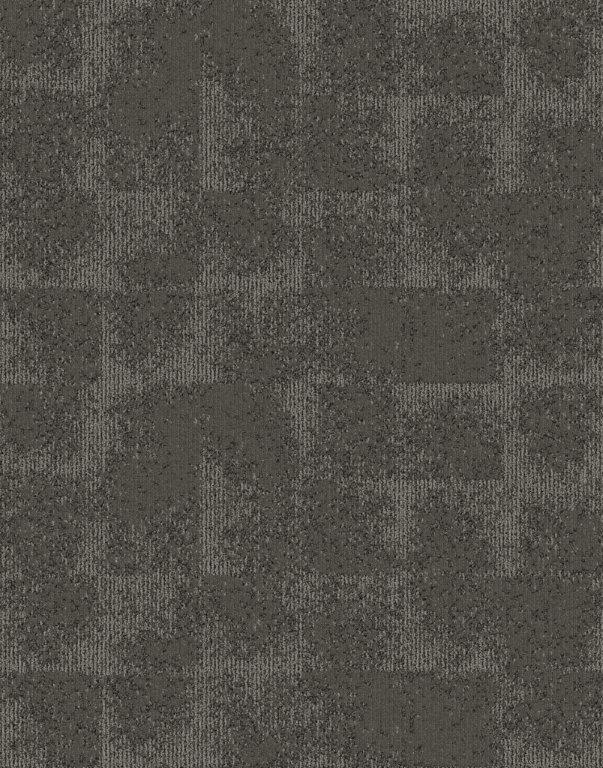 Designers can simply select a texture and a color. If we do not have the exact color a designer is looking for, we can match to it. This palette gives designers a great starting place. We are also developing a tool designers can use for Custom Construction products that require carpets made with a solution dyed nylon. We’re pleased to be partnering with Zeftron on this. The “kit” will contain several items, including two samples that demonstrate the feel and construction of the carpet from our new tufting machines. The kit provides a starting place for designers to begin a Custom Construction – designers can choose a pattern and colors. From there we can create a CAD rendering or a tufted sample. Q. What else would like to add? Designers should not be afraid to do custom. A custom product is an excellent option for today’s commercial interiors industry where more and more clients not only want an exceptional look, but one that is also uniquely distinct. That being said, it’s important designers work with a mill that has the experience and capabilities to make custom carpets. 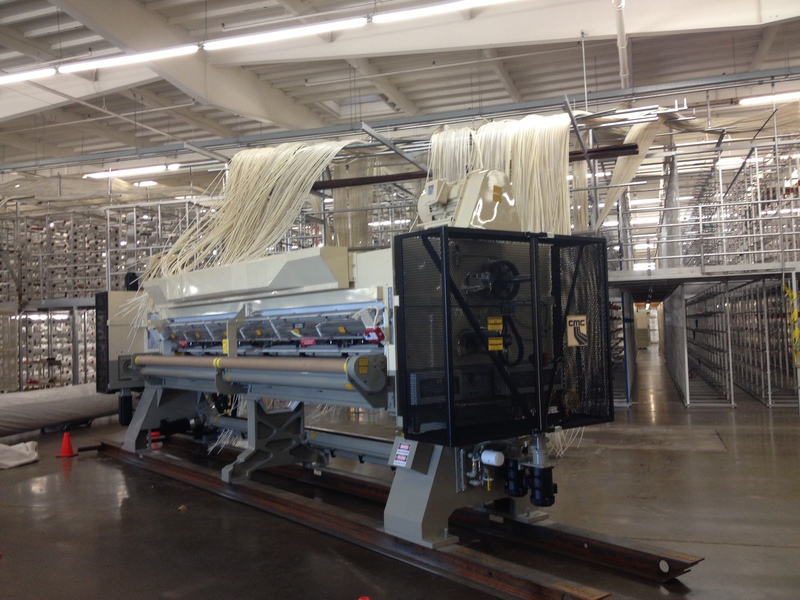 PacifiCrest has a long history of being a custom carpet mill. We take pride in meeting the custom requirements of any project with highly styled products at value price points and excellent service. Our goal is to be a diverse supplier that can provide unique solutions to all market segments. This year we have invested heavily in new state of the art tufting technology to further support our custom capabilities. We now have more capabilities than ever before to achieve unlimited pattern and color flexibility. To contact Zeftron nylon call Tim Blount at 706-532-2984 or email him at timothy.blount@shawinc.com. A custom-designed carpet can be an excellent solution for designers looking to create a signature space. In part one of this two-part blog, PacifiCrest Senior Designer Julie Baird provides designers several tips to keep in mind when thinking about creating a custom carpet for their project. Q. Let’s start with the basics. When would a designer want to choose a custom design over a running line? There are several reasons. First and foremost, a custom carpet is a great way to make a project unique or add a signature design style. 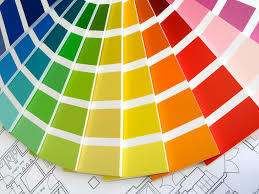 An example is when an organization wants to incorporate its colors or even its logo into the design of the carpet. A custom carpet works really well in a college or university setting where you’re trying to drive school spirit. It could also be great for a fun corporate environment, think Google. Actually, it can work for any market segment where a designer wants to make a design statement. Additionally, depending on the physical dimensions of the space or the requirements of the flooring surface, a running line simply may not be the best solution. If a designer can envision it, a custom carpet can make it a reality. Q. What are the challenges or drawbacks to a custom product? The biggest challenge is usually determining which construction and yarn system will best meet the project’s requirements. This process can be complex depending on design intent. However, we can typically make these determinations pretty quickly. In our system, doing a custom color is not much different than ordering a standard product. Often we can deliver custom products more quickly than competitors can deliver running line products. Q. Does a custom carpet allow a designer to add more sustainability or performance characteristics to the finished product? Yes. For example, most healthcare jobs require a solution-dyed yarn like Zeftron nylon because they demand high performance and colorfast properties. Between our mill’s capabilities and that of our partners like Zeftron nylon, we can deliver a product to the exact specifications the designer desires. Q. What do designers need to keep in mind before embarking on a custom design process? Market Segment – Identify the market: hospitality, education, corporate, healthcare, etc. Contact Zeftron nylon call Tim Blount at 706-532-2984 or email him at timothy.blount@shawinc.com. To speak with one of our Zeftron nylon reps about getting your next project started please contact Chelsey Wolf or Dabney Jungerman. You can also reach out to Zeftron Nylon Business Leader Timothy Blount or Zeftron Nylon National Marketing Manager Richard Radke.